Spring is here! Time for some simple Salads! Try these quick and easy recipes and take advantage of the fresh ingredients this season! This is a quick and easy chicken salad recipe that can be served over a fresh batch of mixed greens without all of the extra fat and calories! Per serving: 2oz protein equivalents, 1/2 serving fruit, 1 tsp fat. Roughly dice poached chicken breasts and place in a large bowl. 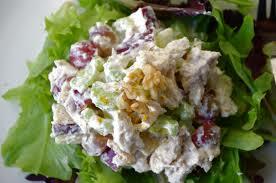 Mix in Greek yogurt until coated evenly.Add celery, apple, grapes, and almonds to the bowl and mix. Refrigerate before serving. Combine all ingredients except cilantro in large bowl and mix. Refrigerate at least 2 hours before serving. Top with cilantro. 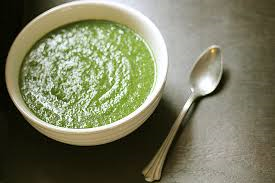 Here is a quick and easy green soup that will do wonders for your waistline! Packed with plenty of veggies, this will surely hit the spot! In a sauce pan, saute onion and garlic with a little water or vegetable stock for about 4 minutes. Add turnip and sweet potato, saute 3 more minutes. Add the remaining vegetable stock and simmer for 10 minutes. Stir in zucchini and kale, simmer for 5 more minutes. Add spinach and simmer 1 minute longer. Pour entire soup mixture into blender or food processor and blend until smooth. Return to sauce pan on low heat. Add fresh parsley to garnish. Try this quick and easy Brussels sprouts recipe as a delicious and healthy side to any lean protein! 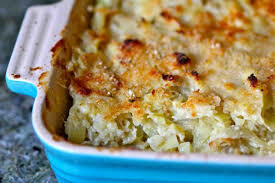 This is a quick and easy side dish for many occasions. Try experimenting with different seeds (ie cumin, poppy, or mustard) to find your perfect match! 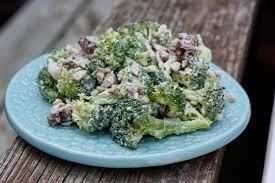 Per serving: 1 serving non-starchy vegetables, 1 tsp fat/oil equivalent. Place lemon juice in a large bowl. Cut bottom of sprouts and discard. 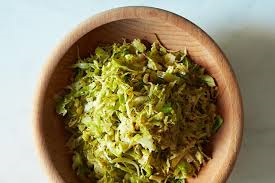 Cut sprouts into thin slices using either food processor or sharp knife (halve sprouts lengthwise, thinly slice crosswise). Transfer into bowl with lemon juice. Toss to cover sprouts evenly. Heat oil and butter over high heat in large skillet. Add sprouts, garlic, and seeds. Stirring often until sprouts are wilted but still bright green, about 4 minutes. Add wine and sprinkle with salt and pepper. Cook, stirring for about 1 minute more. Turn off heat, add more pepper and salt to taste, stir in lemon zest, reserving a small amount to sprinkle over top before serving. The SuperBowl is here again! The SuperBowl….a great excuse for a party! But not a great excuse for busting through your belt! Here are some easy and enjoyable dip recipes to bring to your football fiesta! All can be served with fresh vegetables (low calorie and high in fiber), or whole grain crackers or tortillas. 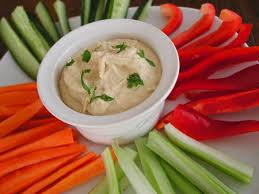 Hummus is a great choice for dipping! With fiber and protein from the chickpeas, it leaves you feeling more satisfied than many others. It can also be very versatile in flavor. Try adding more garlic, roasted red peppers, or experiment with other herbs and spices to change the flavor! Combine all ingredients in food processor and blend until smooth. Serve with fresh vegetables or whole grain crackers. Per 1 tablespoon: ~20kcals, 3g carbs, 1g fiber, 1g protein. 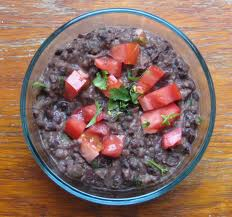 Combine black beans, salsa, lime juice, cilantro and cumin in a food processor. Process until smooth. Season with salt and pepper. This dip is super easy to prep and much better for your waist then typical artichoke dip recipes. Still creamy and cheesy, but with less fat and calories, and more protein from the greek yogurt! Preheat oven to 375F. Combine chopped artichokes,greek yogurt, garlic and cheese in medium bowl until well-mixed. Transfer to glass backing dish. Sprinkle with bread crumbs. Bake until bubbling, about 25 to 30 minutes. Cool for 5 to 7 minutes before serving. Serve with fresh vegetable sticks or whole grain tortilla chips.